This archive holds all posts form March 19, 2014. It is a shocking statistic that there were just 85 black professors in UK universities in 2011-12. In stark terms, this means that there are more higher education institutions than there are black British, African and Caribbean professors actually teaching in them. The latest figures from the Higher Education Statistics Agency put the number of UK academic staff from a known ethnic minority at 12.8%. In contrast, black and minority ethnic students are well represented. In some institutions, such as City University, they make up nearly 50% of the student population. Yet even in these universities black academics are a rarity, particularly those in senior positions. It is hard to think of an arena of UK public life where the people are so poorly represented and served on the basis of their race. Yet this scandalous state of affairs generates little by way of investigation, censure or legal scrutiny under the 2010 Equality Act. The Metropolitan Police has come under intense scrutiny for a number of years for its lack of diversity. It was famously labelled as institutionally racist by the 1998 Macpherson report for its failure to be representative and adequately serve the black community under its jurisdiction. In statistical terms, UK universities are as unrepresentative as the Metropolitan police. Somehow, they have managed to escape intense scrutiny of their attitudes, practices and procedures relating to the black populations that they have a duty to educate and serve. It is also evident that there is a staggering absence of black people in other leadership positions within the UK higher education system. This includes vice chancellors, registrars and other administrators who make the key strategic decisions concerning ethos, priorities and direction of their institutions. Another stark feature of UK academia is the absence of any degree courses that systematically explore the experiences of black people in Britain. 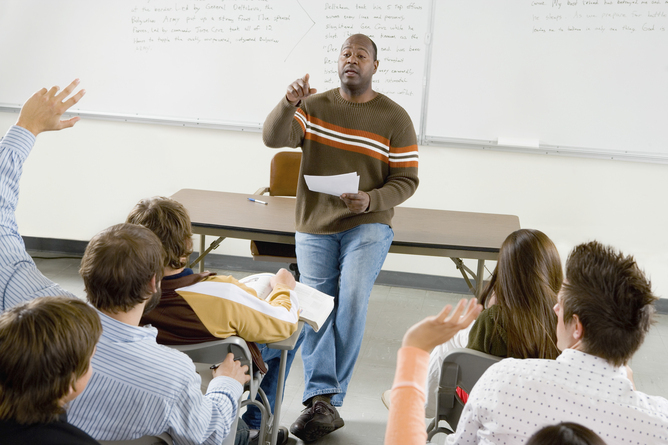 In the US, African American Studies are part and parcel of the academic environment. Many academic institutions house departments and academic leaders dedicated to the discipline. But in Britain there is not a single institution that has a degree programme in Black British studies. If one thinks about the plethora of degree programmes that are offered by UK institutions, it is remarkable that not one of them offers a programme of teaching and research into the experiences of communities that have been so important to the shaping of the United Kingdom. However, black communities are often the objects of detailed academic scrutiny by UK academics. In sociology, psychology, politics, history, theology, and numerous other disciplines, black communities are analysed, assessed, examined, evaluated and commented upon. This analysis of black life, conducted primarily by white academics, often portrays black communities as dehumanised. Black people are used to illustrate problems as diverse as educational underachievement, health inequality, and religious extremism. In doing this, universities contribute to an unflattering, stereotypical and false image of black communities in Britain. The rich complexity and diversity of the black British experience gets buried under an avalanche of supposedly detailed and well-established research findings. Equally damaging is that the communities who are the objects of this research are so rarely empowered by these findings. Black communities still experience exclusion, under-representation and marginalisation when it comes to the UK’s major institutions. While academics benefit from research income and a raised profile because of their knowledge of black communities, the communities themselves remain on the margins of academic life. In order to move black people into the mainstream of British academic life, fundamental cultural and procedural shifts are required. It needs to be acknowledged that the British higher education system has institutional inadequacies. Universities need to take pro-active measures to ensure that institutions genuinely reflect the diversity of the wider society, both in terms of personnel at all levels and in relation to curricula and research. The introduction of Black British studies courses in British university campuses could be one positive step on the journey towards a more inclusive higher education system. But rigorous scrutiny, analysis and action is also needed to tackle the institutionalised discrimination that is a stain on the reputation of Britain’s liberal university culture. ~ This post was written by William Ackah, Birkbeck, University of London. William Ackah does not work for, consult to, own shares in or receive funding from any company or organisation that would benefit from this article, and has no relevant affiliations. This post was originally published on The Conversation. Read the original here.